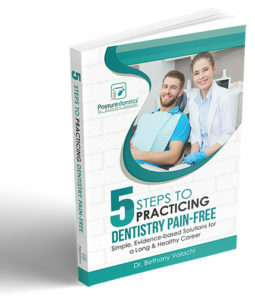 Dr. Bethany Valachi, PT, DPT, MS, CEAS is author of the book, “Practice Dentistry Pain-Free: Evidence-based Strategies to Prevent Pain & Extend Your Career,” clinical instructor of ergonomics at OHSU School of Dentistry in Portland, Oregon and Ergonomics Editor for DPR magazine. Dr. Bethany Valachi is a doctor of physical therapy who has worked exclusively with dental professionals for over 20 years. She is recognized internationally as an expert in dental ergonomics and has provided over 700 dental lectures worldwide, which have provided pain relief to thousands of dental professionals. Dr. Valachi is also a prolific author who has published more than 70 articles in peer-reviewed dental journals, and produced a series of dental ergonomic & exercise Online CE Video Courses. Dr. Bethany Valachi is a Certified Ergonomic Assessment Specialist and consults with universities and practicing dental professionals to improve ergonomics. 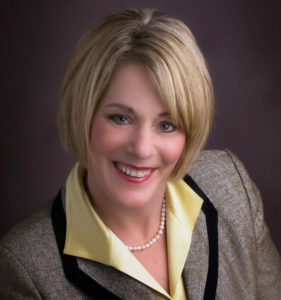 She is a also member of the National Speaker’s Association and is an AGD PACE approved CE provider. Prior to physical therapy, Bethany was a classical piano performance major. She is now exploring blues piano, enjoys riding her horse in dressage competition and on the trails, downhill skiing, mountain biking, scuba diving and exploring nature with her husband, Dr. Keith Valachi, DDS. Contact us today to bring Dr. Valachi’s life changing coaching and education to your office or organization!